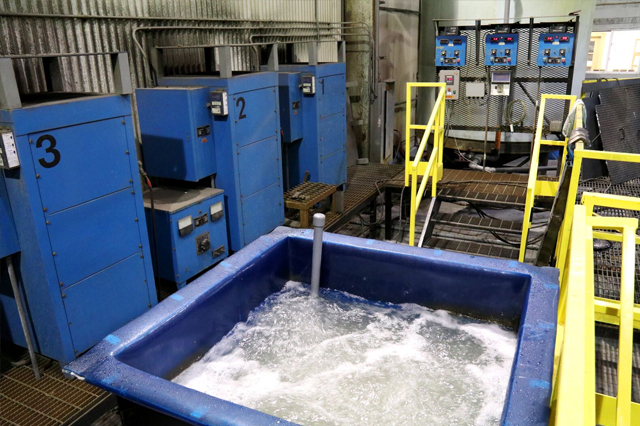 At Roser Technologies Inc., we offer Standard Nickel Electroplating as well as our patented Tapered Hardness Nickel Plating® (THN®). 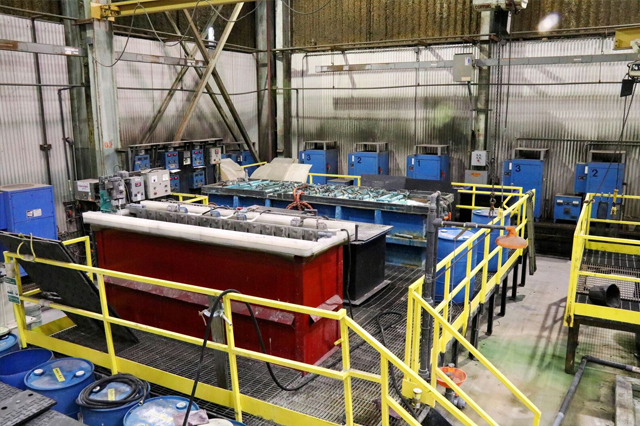 Plating configurations can be tailored to your specific caster needs to optimize wear resistance, thermal characteristics, and overall mold performance. Nickel plating capacities are more than adequate to handle the largest broadface and the smallest narrowface. Copper edge plating is available to return excessively worn coppers to original print width. 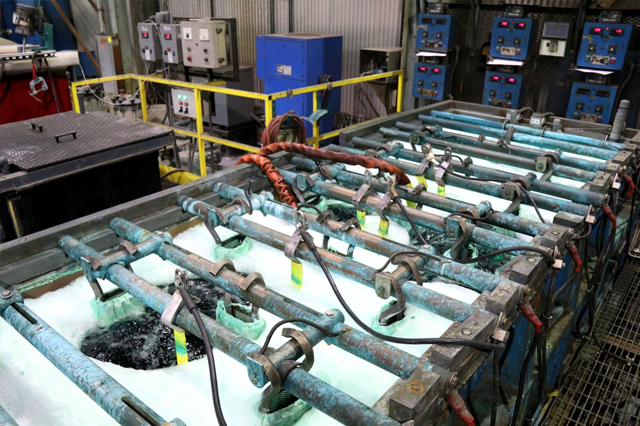 In addition to traditional electroplated coatings, RTI offers specialty coatings for increased wear resistance or thermal characteristic manipulation. 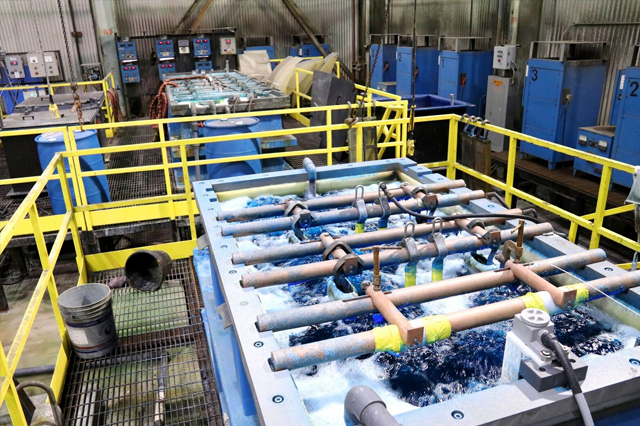 RTI's proprietary TC1® and TC4® coatings have world record breaking wear resistance and continue to break the barriers of conceivable mold coating life. 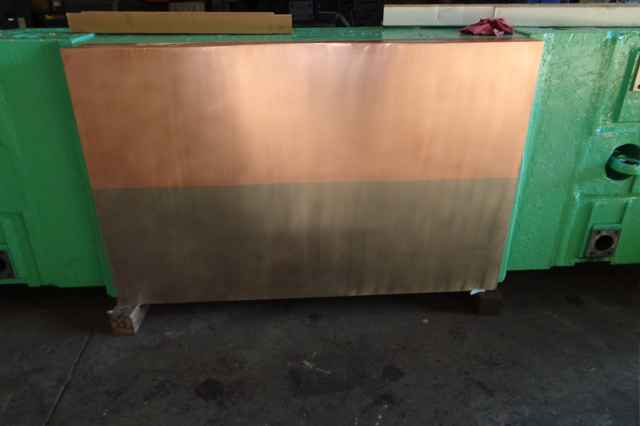 HVOF Spray Coating can be engineered and applied to any broadface or narrowface copper. Specialty cold face coatings offer optimal thermal characteristics and aid in flawless continuously cast slab profiles. 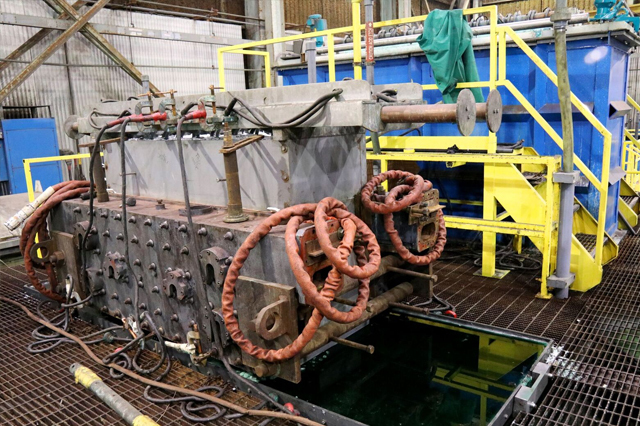 In 2010, RTI was recognized for refurbishing a mold for AK Steel's Middletown Works Facility that set a WORLD RECORD by continuously casting 474,131 tons of carbon steel. 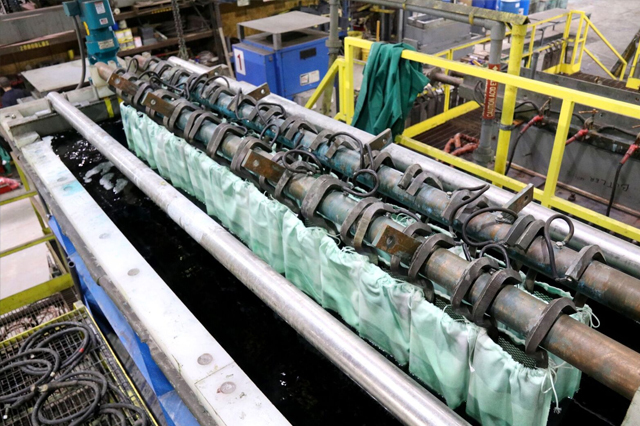 The record setting mold was refurbished using RTI's TC1® and THN® mold coatings. 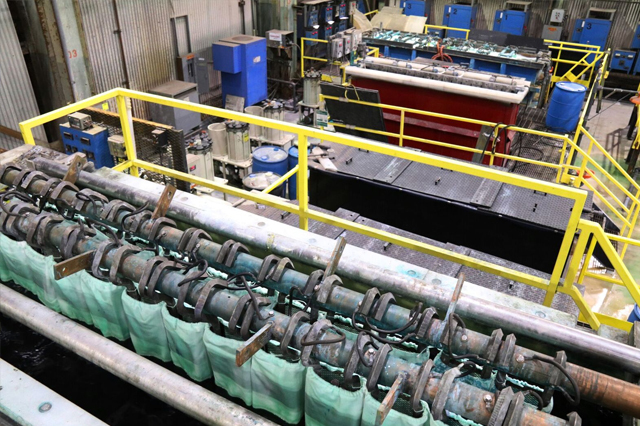 Contact RTI to see what coatings can be applied to your equipment to promote longer caster life and improved final products.